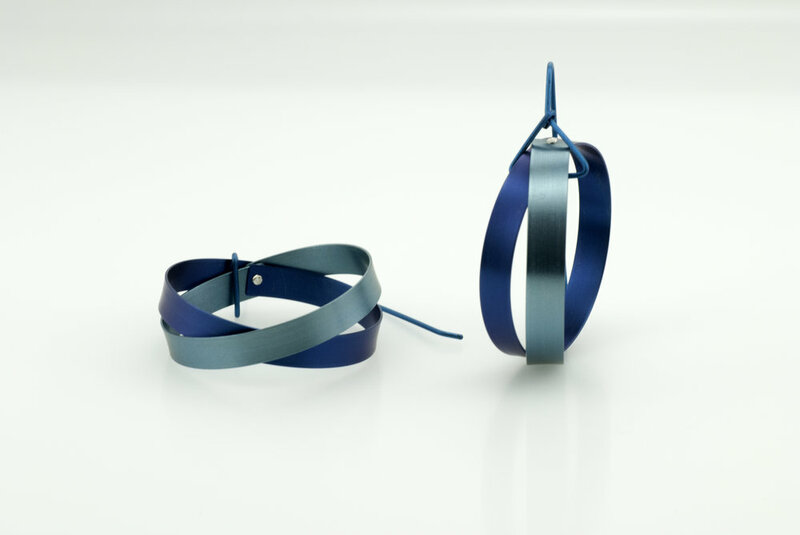 "My jewellery explores ideas and concepts related to simplicity, boldness and repetition of shape and form and relates to structural elements and forms found in architecture. I consciously make work with a minimum amount of waste in mind. 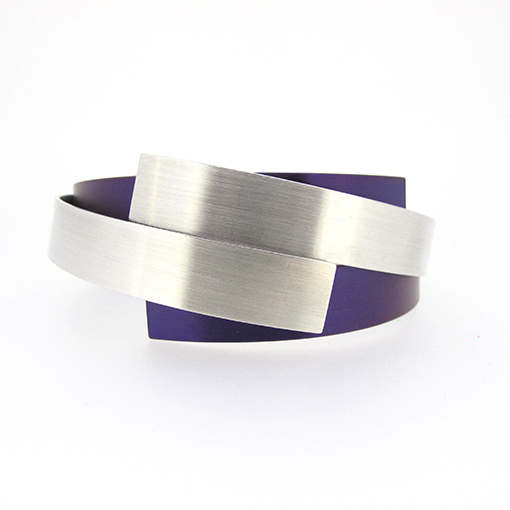 I use strips of sterling silver and titanium making use of the significant contrasts of texture, colour and malleability. I enjoy exploring contrasting elements within the materials and the use of both matt and shiny surfaces of the titanium and silver. Silver when polished, has a highly mirrored surface and the titanium when anodised is transformed from a dull grey into beautiful colours. The anodised colours I use are subtle and muted and reflect qualities of light and shadow. I use the light weight, innate strength, and springy nature of the titanium to create tension and movement with flowing strips of colour, which are reflected in the mirrored surface of the sterling silver. My current work Loop Series, have been refined from exhibition pieces into a range which has been developing and continuously evolving."